The Brazilian Journal of Pharmacognosy is a scientific journal edited and published by the Brazilian Society of Pharmacognosy (SBFgnosia) since 1986, an association that brings together researchers, students and professionals who study and investigate natural drugs, especially those of plant origin and its isolated substances. It is available in printed form for its members and subscribers and openly on the internet with all numbers and contents. The published articles are original research contributions. The evaluation of the manuscript is held by ad hoc advisers, which reflects the quality and credibility of the journal. The journal abbreviated title is Rev. Bras. Farmacogn., which must be used in bibliographies, footnotes and bibliographical references and strips. 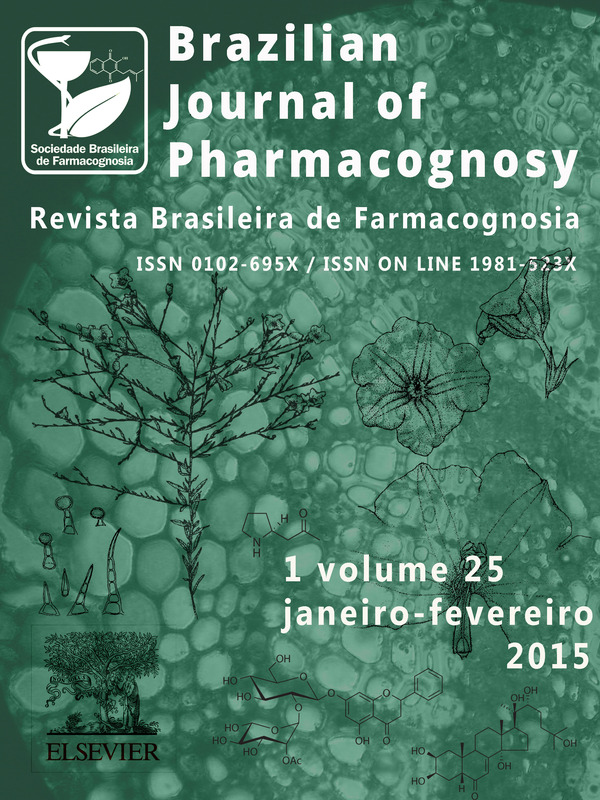 The Brazilian Journal of Pharmacognosy (www.sbfgnosia.org.br/revista) is published bimonthly in partnership with Elsevier.